If I had one word to describe The Epic of Everest, John Noel’s historic record of the 1924 Everest expedition, which has recently been restored by the British Film Institute (BFI), then it would be atmospheric. If I had a second one then it would be weird, but then I’m not that familiar with 1920s silent movies and I expect they were all like this back then. I went to see the film after work last Friday at one of the BFI’s cinemas in London’s Southbank Centre, and it made for an enjoyable, if slightly surreal night out. John Noel was a non-climbing member of the 1924 expedition team who is credited by some as igniting British interest in climbing the world’s highest mountain with a lecture to the Royal Geographical Society about an illicit journey he made to Tibet in disguise in 1913. He accompanied the 1922 expedition as photographer, and provided much of the funding for the 1924 attempt in exchange for the photographic rights. Although officially a non-climber, he ascended all the way to the North Col at 7000m, and filmed activity higher up the mountain with a powerful telescopic camera from a rock above Camp 3. As the title implies, it was an epic expedition, beset by storms from the moment they started climbing the mountain. A porter and a Gurkha officer died during a disastrous struggle up the East Rongbuk Glacier while the team established their support camps. 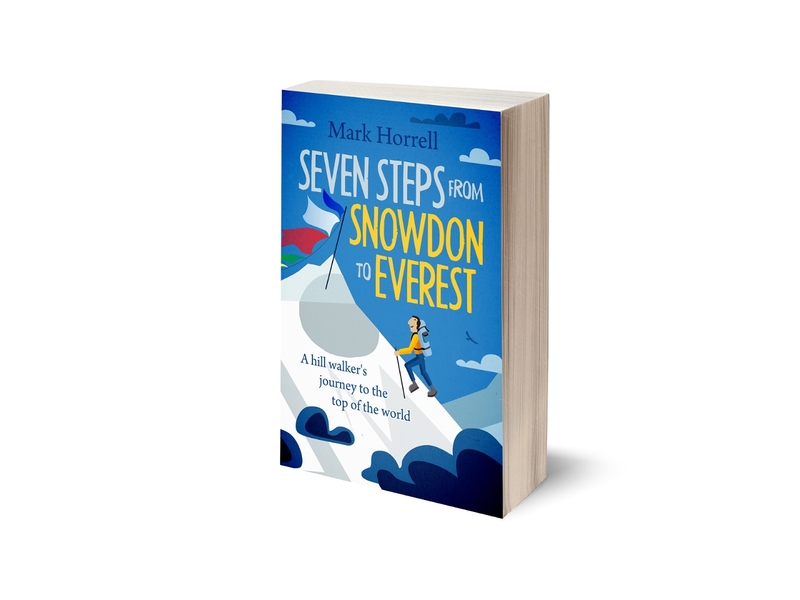 Later on four stranded Sherpas had to be rescued from an avalanche-laden North Col after being abandoned in a storm by one the climbers, the aptly named Jack Hazard. Expedition leader Edward Norton reached 8570m without supplementary oxygen, an altitude record which stood for 28 years, but had to be helped to safety after becoming snowblind during the descent. But the expedition is best remembered for its final act, when George Mallory and Sandy Irvine disappeared high on the Northeast Ridge. To this day people (including me) still argue about whether they reached the summit. How well would John Noel’s film convey this heroic if ultimately tragic story? I don’t want to be too critical, as obviously the film is a product of its time, and Noel was limited by the technology available. The original film was completely silent, and a new soundtrack has been commissioned for this release which lends the film an extra dimension, if at times it becomes distracting. Interestingly the restorers shied away from adding the voice of a narrator, so it’s necessary to read long paragraphs of text on the screen (known in the trade as intertitles) which appear between clips. It therefore requires concentration, although often the text merely states the obvious. For most of its early part the film is more a collection of random images without much of a coherent storyline. It begins with still shots of Everest with clouds swirling in front set to dramatic music. It then switches to the journey across Tibet, starting from the community of Phari Dzong close to the border with Sikkim, a town of narrow whitewashed streets beneath the dramatic mountain backdrop of Chomolhari. Noel reveals an obsession with the Tibetan people which, while an interesting historical record, is slightly embarrassing. We see a woman smearing her child with butter, a wizened old man with a drum, some Tibetan dancers, and another woman churning butter. Many of them are embarrassed about having the camera pointed at them and perform for a few seconds before collapsing into shy giggles. The yaks are better behaved, though it’s a bit strange when the soundtrack introduces the ringing of yak bells accompanied by mooing. While the yak bells help to set the scene I’ve never heard a yak go moo, and as far as I’m aware they don’t make any sound other than tingaling. The stars of the show, Noel’s fellow team members, are strangely missing from the first half of the film, and when we first see Howard Somervell in front of camera sketching some Tibetans, bizarrely some of the other members of the audience started applauding. 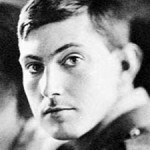 George Mallory finally makes an appearance during a gathering of the team in front of the tents at base camp about 45 minutes into the film, but then as far as I could identify he never appears again. Much of the footage is speeded up. I expect someone will tell me this is due to the limitations of the technology, but it does create some slightly odd impressions. When the expedition caravan fords a river at breakneck pace with someone carrying a baby donkey which has just been born on camera, I keep expecting to hear the sound of a honky tonk piano while the Keystone Kops rush onto the scene shaking their fists in the air. During the ascent of the East Rongbuk Glacier this effect creates a misleading impression that it’s easy to climb at this extreme altitude. The porters should be plodding upwards at a snail’s pace, taking deep breaths with every step, but instead they appear to be walking normally. The storyline picks up in the second half. The storm on the East Rongbuk Glacier is skipped over in a single paragraph, but there are some great shots of the folding ice seracs of the North Col Wall, and the North Col campsite, which in the 1920s was pitched in the shelter of ice just below the col, rather than more or less directly on it like it is today. The rescue of the Sherpas is shown in full, although it’s hard to tell exactly what’s happening. In the 1920s Sherpas didn’t have the climbing skills they do today, and were recruited as high altitude porters rather than essential members of the climbing team. They traverse nervously across sloping ice, lacking the fixed ropes and crampons that enable climbers to cross this sort of terrain easily nowadays. It was next to impossible for John Noel to film above the North Col given the size and weight of his camera, and the summit assaults are mostly described rather than filmed, with just a few long distance shots of climbers struggling up the North Ridge. 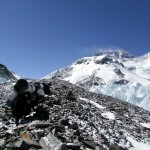 Suddenly the first summit attempt is over, and we see a snowblind Edward Norton arriving in Camp 3 carried on piggy back by one of the Sherpas. Mallory and Irvine’s climb is dealt with by means of a marvellous close-up shot of the summit pyramid all the way from the base of the Third Step to the very top, with the whole of the summit route shown clearly: the snow slope above the Third Step, the traverse to the right across rock bands, and the scramble up to the final summit snowfield. 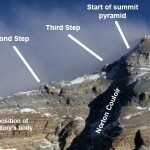 This is higher than the place where they were last seen alive (unless Noel Odell’s final sighting was actually on the Third Step), leading us to speculate about whether they reached the summit before they perished. We watch the team’s primitive signalling system in action: Hazard laying sleeping bags in the shape of a cross at the North Col to indicate Mallory and Irvine have not returned, and three sleeping bags being laid out at Camp 3 to instruct Hazard and Odell to come down. The closing sequence of the film has a mystical quality to it. Noel’s captions question whether Chomolungma, the Mother Goddess of the Earth, has claimed her own, and that men were never meant to reach the summit. There are more dramatic shots of the mountain as the atmospheric music reaches a crescendo. I wasn’t really sure what to make of it as I left the theatre. The film was definitely a bit weird. I don’t want you to think I’m being too critical, though. I realise it should be judged against other films of that time, and I genuinely don’t know how this one compares. I did enjoy watching it, and I urge you to see it if you have a chance. It’s being shown in cinemas across the UK until February. As I wandered home and considered what I’d seen what struck me most is how little Everest has changed, certainly on the Tibet side, no matter how many times people bang on about how the mountain has been tarnished. There are no teahouses, no roads, hotels or huts. While there are a few old strands of wind and ice scoured rope in places on the trail, a few discarded oxygen cylinders, and the remains of Mallory’s camp somewhere high on the North Ridge, these are tiny specks on a giant landscape. Irvine’s body is lying there still, yet to be found, and maybe it never will. The clothing and the equipment was more outlandish, and the mountain looks different in black and white, but otherwise every contour they climbed was familiar to me. There are parts of the world that will forever remain wild, and the upper reaches of Everest is one of them. Here’s a little taster of the film from the BFI’s YouTube site. I am reading Tanis Rideout’s Above All Things and endlessly googling images and historical info. 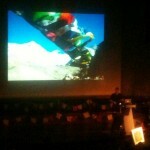 (I am not a climber and never knew much about Everest or history of attempts before). I keep coming back to your posts and images. So enlightening. Thank you.